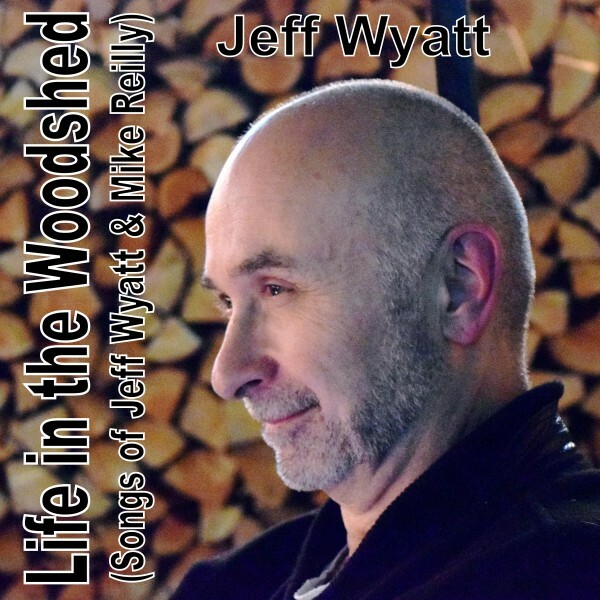 Jeff Wyatt - Recordings - "Life in the Woodshed"
© 2017 Jeff Wyatt & Michael B. Reilly (SOCAN). All arrangements by Jeff Wyatt & Michael B. Reilly. Particulars: 7th solo album. Vocals, Guitar and Keyboards performed by Jeff Wyatt. Digital percussion programmed by Jeff Wyatt. Recorded on a dual processor PowerMac G5. Software used included Digidesign Pro Tools, Reason, Miroslav Philharmonik and a host of IK Multimedia processors available in T-RackS 3 Deluxe. Jeff Wyatt and Michael Reilly have been co-writing songs since 2014, with Mike writing the lyrics and Jeff handling the music. All co-writes have been initiated by Mike for his variety of audio drama and music soundtrack projects produced under the Canamera Entertainment Group umbrella. The collection of 4 songs on Jeff's current EP "Life in the Woodshed" were included in Mike's complete 11 track music production "Somewhere Between Heaven and Earth". For "Life in the Woodshed" Jeff chose appropriate co-writes that reflect his particular performance genre. The "woodshed" reference refers to locking oneself away to hone and polish a craft, which is appropriate in this case. Jeff has spent a lifetime working in his "woodshed".